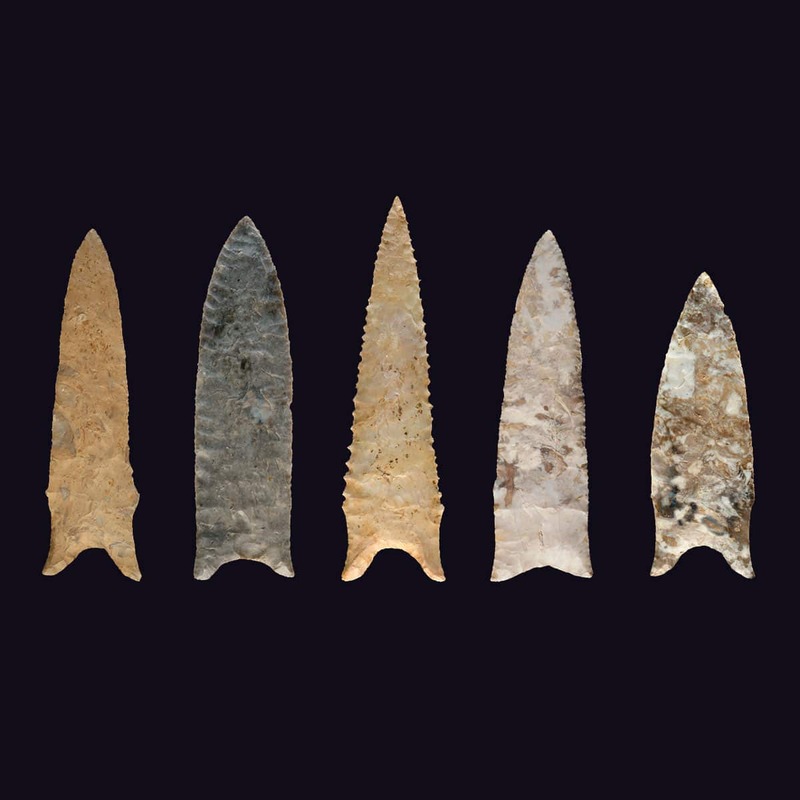 The Missouri Archaeological Society supports responsible artifact collecting. If you surface-collect artifacts, keep them separated by site. These archaeological sites can then be registered with our State Historic Preservation Office (SHPO). Site locations are confidential. The SHPO will provide a site number to keep with the artifacts, or better yet, the artifacts can be labeled with the site number. The artifacts will still belong to you, but you will have contributed to the archaeological record of Missouri. Information comes not only from the artifacts, but from the context in which they are found. The association of an artifact with other stone tools and food remains, its depth below the surface, and the type, chemistry, and color of the surrounding soil are some of the things archaeologists need to know. For this reason, archaeologists ask people to refrain from digging for artifacts. Most people do not realize that they are contributing to the destruction of archaeological sites when they dig to "see what's there" in caves or elsewhere. These are non-renewable resources; once destroyed, they are gone forever. Legislation changes and it is the collector’s responsibility to abide by all laws per statute. Content is provided as a courtesy and the MAS has no liability for the reader’s interpretation of applicable laws. What About Gravel Bar/Creek Collecting? Public right of access to Missouri streams includes only those that are “navigable.” If you go down a non-navigable watercourse you may be trespassing. Collectors must be careful not to wander onto private land. For example, the Missouri River is public property, but public ownership extends only as high as the ordinary low-water mark on banks. Any land above the point where trees and other permanent vegetation grow is part of the shore. You need permission to go there unless it happens to be public land, but artifacts found on state-owned land are considered property of the state. Many permanent islands also are private property.